Dive into the quiet swimming pool and get a drink, refreshment or light snack at the pool snack bar, into a beautiful, tranquil garden full of orange trees. 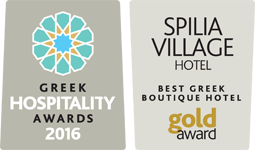 Dine in the traditional a-la-carte tavern, inside a restored building dating from the Venetian period, and taste some of the best local dishes of Crete, or some great dishes of the international cuisine. Enjoy an excellent glass of local wine, accompanied with locally produced cheese and other delicious light dishes, either indoors, in a unique environment of sculptured stone and carved wood that takes you back to another era, or outdoors, in the beautiful, open-air lavender garden. Rejuvenate in our fitness center with sauna, steam bath, indoor swimming pool, massage room and gym. 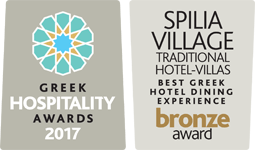 Spilia Village is an exquisite traditional hotel, with a luxury touch, which highlights the intense charm of a bygone era. 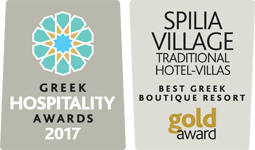 It is located in the center of an authentic Cretan village, which has kept intact most of its traditional architectural elements for more than 400 years. 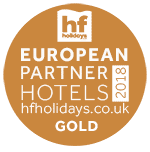 The natural surroundings of the hotel are captivating: it is situated on an extended green plain, amidst beautiful citrus orchards and olives groves. Our philosophy is all about respect for traditional architecture, and its harmonic blend with the unique natural environment of the area. Thus, we have carefully restored and maintained the old buildings that used to be in the exact location of the hotel, in order to save them from the ravages of time and to give them a new life and a new role in today’s village. The main building of the hotel, which consists of the reception area and the hall where the breakfast is served, is contained in a part of the building that in the past was at first a factory and later an olive oil processing plant. Today, the millstones of the plant are the prominent decoration in the reception. 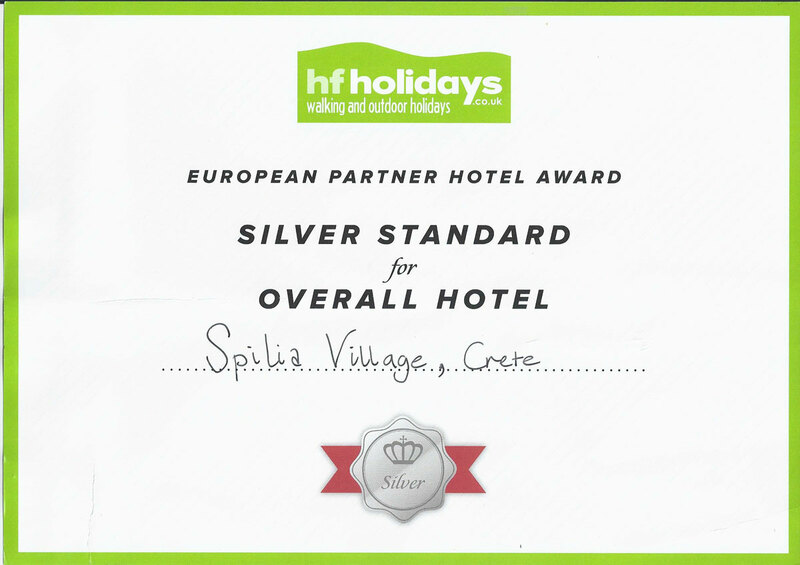 Spilia Village Hotel is ideally located close to all the well known attractions of West Crete (Balos beach, Cape Gramvousa, Elafonissi beach, Falassarna beach etc) and also very close to the magnificent town of Chania, and the well known villages of Platanias and Kolymbari. The hotel consists of 33 stone-built rooms, each of them uniquely decorated. 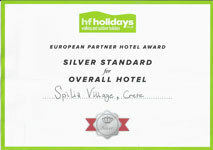 They include Standard and Superior Doubles, Suites, Superior Suites of 2 or 3 bedrooms, Family Rooms, Duplex and Villas.